The incandescent Diane Ackerman—celebrated interpreter of science and nature—is the author of two dozen highly acclaimed works of nonfiction and poetry, including The Zookeeper’s Wife and A Natural History of the Senses―books beloved by millions of readers all over the world. In prose so rich and evocative that one can feel the earth turning beneath one’s feet as one reads, Ackerman’s thrilling observations urge us to live in the moment, to wake up to nature’s everyday miracles. 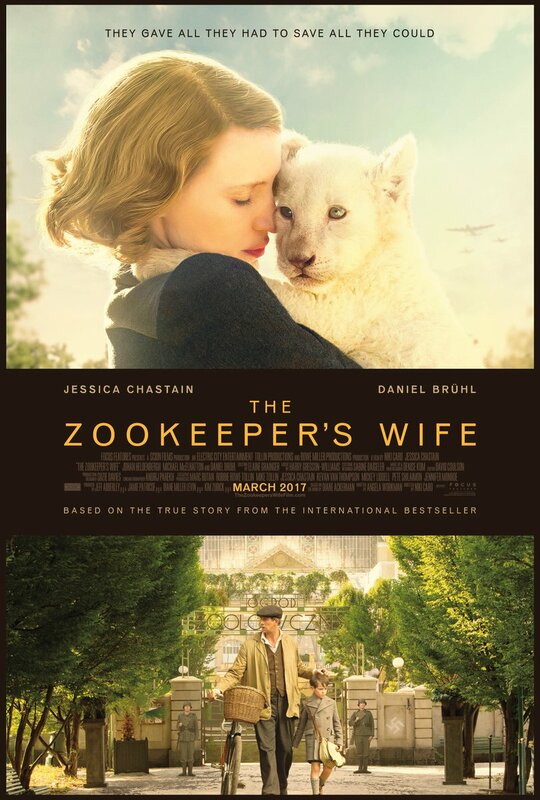 A full length feature film of The Zookeeper’s Wife, starring Jessica Chastain and Daniel Bruhl, will be released on March 31, 2017. Ackerman’s poetry has been published in leading literary journals. Maxine Kumin says of it, “I know enough to know when I’m in the presence of a brilliant mind. Her acrobatic poems are full of fact and exuberance.” Her poetry books are Origami Bridges: Poems of Psychoanalysis and Fire; I Praise My Destroyer; Jaguar of Sweet Laughter: New and Selected Poems; Lady Faustus; Reverse Thunder: A Dramatic Poem; Wife of Light; The Planets: A Cosmic Pastoral. Diane Ackerman was born in Waukegan, Illinois. She received an MA, MFA, and PhD from Cornell University and has received many prizes and awards, including a D. Litt. from Kenyon College, a Guggenheim Fellowship, the John Burroughs Nature Award, and the Lavan Poetry Prize, as well as being honored as a Literary Lion by the New York Public Library. She has taught at a variety of universities, including Columbia and Cornell. She also has the rare distinction of having a molecule named after her—the dianeackerone. Poet, essayist, and naturalist, Diane Ackerman is the author of two dozen highly acclaimed works of nonfiction and poetry, including The Human Age, The Zookeeper’s Wife, and A Natural History of the Senses, books beloved by millions of readers all over the world. In prose so rich and evocative that one can feel the earth turning beneath one’s feet as one reads, Ackerman’s thrilling observations urge us to live in the moment, to wake up to nature’s everyday miracles. Our finest literary interpreter of science and nature, Diane Ackerman is justly celebrated for her unique insight into the natural world and our place (for better and worse) in it. In this landmark book, she confronts the unprecedented fact that the human race is now the single dominant force of change on the planet. Humans have “subdued 75 percent of the land surface, concocted a wizardry of industrial and medical marvels, strung lights all across the darkness.” We now collect the DNA of vanishing species in a “frozen ark,” equip orangutans with iPads, create wearable technologies and synthetic species that might one day outsmart us. Ackerman takes us on an exciting journey to understand this bewildering new reality, introducing us to many of the people and ideas now creating—perhaps saving—our future. 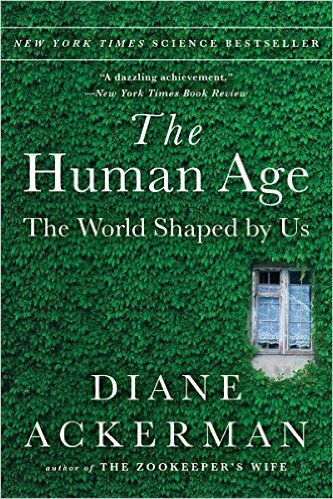 The Human Age is a beguiling, optimistic engagement with the earth-shaking changes now affecting every part of our lives and those of our fellow creatures—a wise book that will astound, delight, and inform intelligent life for a long time to come. In the same way that medieval monks had “Books of Hours”, with suggested meditations and prayers for different hours of the day, Diane Ackerman’s Dawn Light is a “Book of Dawns”. 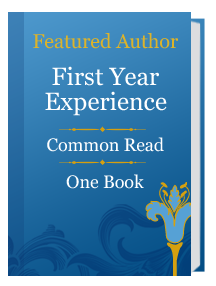 Each short chapter is about a different dawn and a different facet of nature, chronicling the changing of the seasons over the course of a year, from January to December, in locales around the world. Dawn is also a metaphor for conscious awareness, as in, “it dawns on me that…..” So this book is also about trying to “wake up” to each passing moment. To that end, it is chock-full of small astonishments and secular hallelujahs. Like A Natural History of the Senses, Dawn Light is an exceptional example of the genre of which Diane Ackerman is the acknowledged master—the wide-ranging nature essay that also teaches us about ourselves. It is the product of a mind full of facts, inclined to poetry, and in love with not only all creatures great and small, but every weird and colorful adaptation of the natural world. Joining science’s devotion to detail with religion’s appreciation of the sublime, Dawn Light is an impassioned celebration of the miracles of evolution—especially human consciousness of our numbered days on a turning earth. The tests revealed that Paul had a massive stroke, one tailored to his own private hell. In the cruelest of ironies for a man whose life revolved around words, with one of the largest working English vocabularies on earth, he had suffered immense damage to the key language areas of his brain and could no longer process language in any form. Though not visible in the CAT scan’s chiaroscuro world, other vital language areas had also wilted, leaving a labyrinth of fragile liaisons hushed. Global aphasia, it’s called. Paul’s aphasia was indeed global, round as his head, a grief encompassing our whole world. I’d never heard the expression before, and didn’t want to think about the full cartography of loss. Yet I had no choice, because someone had to make decisions about his care-informed, clear-headed decisions. With blackout in effect and most of the animals gone, dawn no longer announced itself by spilling light into the bedroom and unleashing the zoo’s otherworldly chorale. One awoke in darkness and silence, the bedroom windows sealed with plywood and most of the animal calls either missing or muffled. In a quiet that dense, body sounds become audible, one hears blood surging and the bellows of the lungs. In a darkness that deep, fireflies dance across eyes that see into themselves.